The Lake District and Eden Valley’s stunning scenery and outstanding beauty can only leave you impressed. 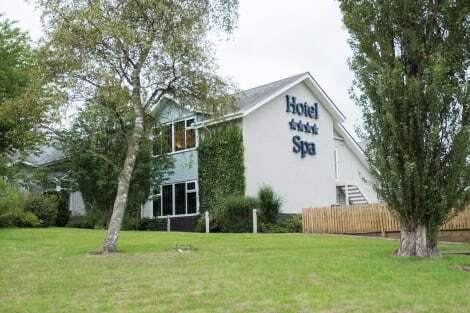 Our Penrith hotel is perfectly located for Lake Ullswater and Derwentwater, so if you’re looking to explore the Lake District by foot, bike, car or boat we are the ideal base. Our stylish and contemporary rooms have comfy beds and are filled with thoughtful touches that make your stay extra special. If you would prefer to stay put and enjoy our surroundings, you’re in for a treat. Swim, steam or workout to your heart’s content with your complimentary spa membership. Recently refurbished the brand new Spa Relax lounge is a stylish and comfy space perfect for pre and post-treatment relaxation. Light lunches, drinks and snacks are available in the lounge so those enjoying a spa day can relax in style. Our brand new restaurant at North Lakes Hotel, FYR will offer guests the ultimate eating experience with live cooking on the bespoke open fire grill. Enjoy a new menu of delicious locally sourced dishes. With a stay at Glendale Guest House Penrith in Penrith, you'll be within a 10-minute drive of Lake District and Penrith & Eden Museum. This 4-star guesthouse is 6.4 mi (10.3 km) from Ullswater and 12.8 mi (20.6 km) from Yorkshire Dales National Park. Stay in one of 10 guestrooms featuring flat-screen televisions. Complimentary wireless Internet access keeps you connected, and digital programming is available for your entertainment. Private bathrooms with showers feature complimentary toiletries and hair dryers. Conveniences include coffee/tea makers and irons/ironing boards, and housekeeping is provided daily. At Edenhall Country House Hotel, enjoy a satisfying meal at the restaurant. Wrap up your day with a drink at the bar/lounge. Full breakfasts are available daily for a fee. Satisfy your appetite for lunch or dinner at 2 AA Rosette Restaurant, a restaurant which specializes in British cuisine, or stay in and take advantage of the 24-hour room service. Need to unwind? Take a break with a tasty beverage at one of the 2 bars/lounges. A complimentary full breakfast is included. 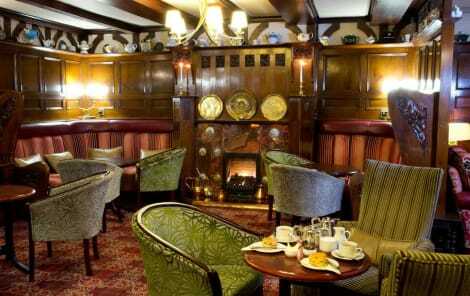 Located in Penrith, The Boot and Shoe is within a 15-minute drive of Lake District and Ullswater. 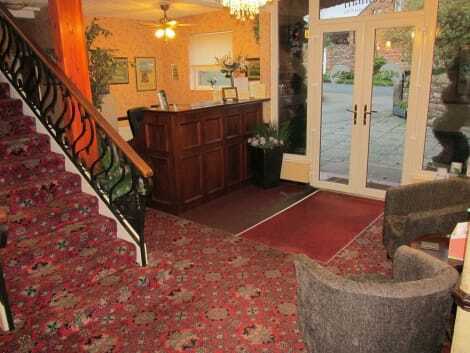 This 4-star inn is 15.8 mi (25.4 km) from Derwent Water and 3.9 mi (6.2 km) from Hutton in the Forest. Located in Penrith, Roundthorn Country House is in a rural location, within a 5-minute drive of Penrith & Eden Museum and St Andrew's Church. This 5-star country house is 7 mi (11.3 km) from Ullswater and 7 mi (11.3 km) from Lake District. Featured amenities include complimentary wired Internet access and multilingual staff. Free self parking is available onsite. Stay in one of 5 guestrooms featuring flat-screen televisions. Complimentary wireless Internet access keeps you connected, and digital programming is available for your entertainment. Private bathrooms with showers feature complimentary toiletries and hair dryers. Conveniences include desks and coffee/tea makers, and housekeeping is provided daily. With a stay at Norcroft Guest House in Penrith, you'll be within a 15-minute drive of Lake District and Penrith & Eden Museum. This 4-star guesthouse is 6.8 mi (11 km) from Ullswater and 12.5 mi (20.2 km) from Yorkshire Dales National Park. On the north-eastern edge of the Lake District National Park stands the market town of Penrith. The capital of Cumbria in the 9th and 10th centuries, it remains an important destination within the Eden Valley. The bustling centre is filled with a wide range of sandstone buildings, independent shops, pedestrianised areas and local attractions. Stay in one of the Penrith hotels listed here on the website and you'll be close to all of the town's major sights. Penrith and Eden Museum is a great place to begin a visit to the town as its exhibits tell the fascinating story of the local area. You'll get the chance to touch a carving etched out of rock 5,000 years ago, and learn all about the museum's collection of Roman coins. Right in the heart of town is Penrith Castle, a 14th-century fort that's now surrounded by an attractive public park. Believed to have been built on the site of an old Roman fort, the castle played a key role in the defence of the Scottish border. The attractive Lowther Castle and Gardens is situated to the south of Penrith, as is the nearby Lakeland Bird of Prey Centre, where visitors can see more than 150 birds including hawks, falcons, eagles and buzzards. A 20-minute drive to the north-west of Penrith is the Bronze Age stone circle known as Long Meg and her Daughters, a must-visit site for history fans. The town's proximity to the national park means walking opportunities in the area are plentiful. Drive or catch a bus south towards Ullswater and Glenridding and before long you'll come to the breathtaking Aira Force, a tumbling waterfall set within a beautiful secluded valley. To the west of town lie the summits of Skiddaw and Blencathra, both offering excellent walking and dramatic views out across the surrounding landscape. Penrith's regular markets attract a large number of shoppers to the town each week. On Tuesdays, traders descend on the Bandstand in Penrith town centre to sell a variety of goods and fresh produce. Penrith's Farmers' Market takes place on the third Tuesday of the month in Market Square. Outside of market days there's always the option to wander through the town's pedestrianised streets and arcades, stopping off to browse in family-run businesses and national chain stores.